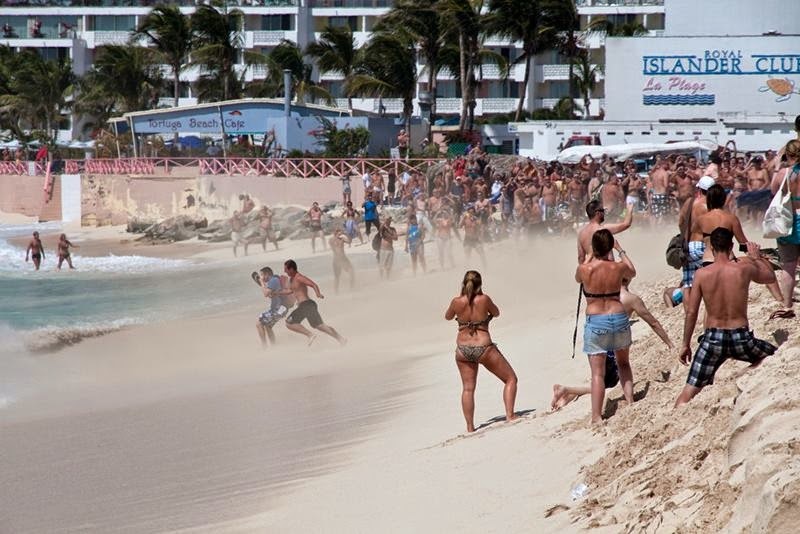 In the northern ridge of the Eastern Caribbean islands is the island of St. Maarten. Its northern part belongs to France and South - Netherlands. 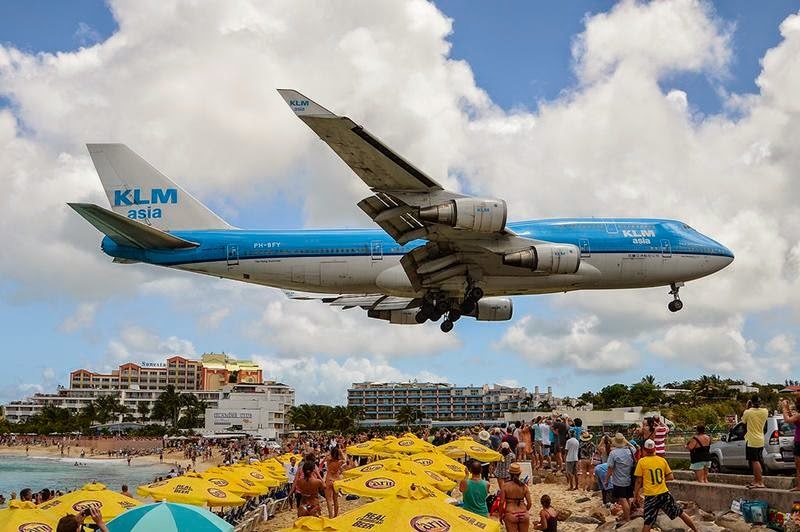 During the Second World War on the Dutch side of the island was built airfield, which is now the Princess Juliana International Airport. 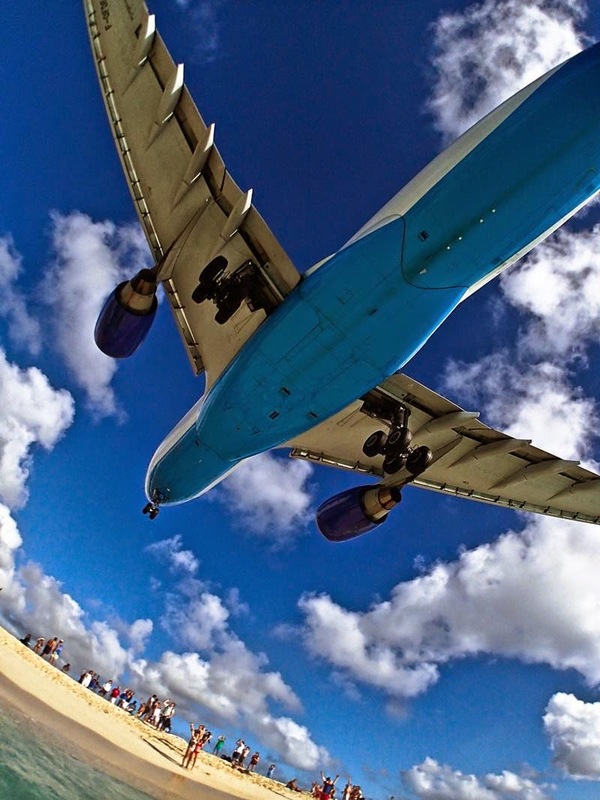 Currently, it is considered the busiest airport in the Caribbean. 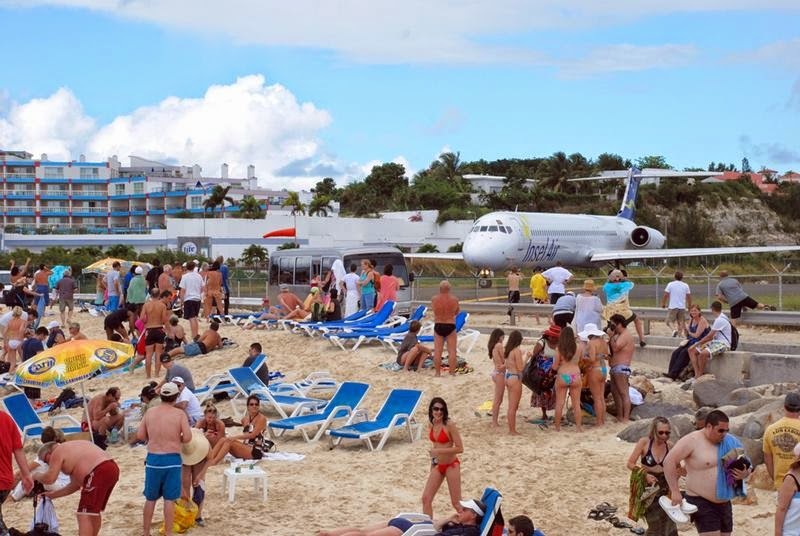 In this regard, which is in close proximity to the airport Maho Beach Resort many was referred to as "the world's best place to watch the planes." 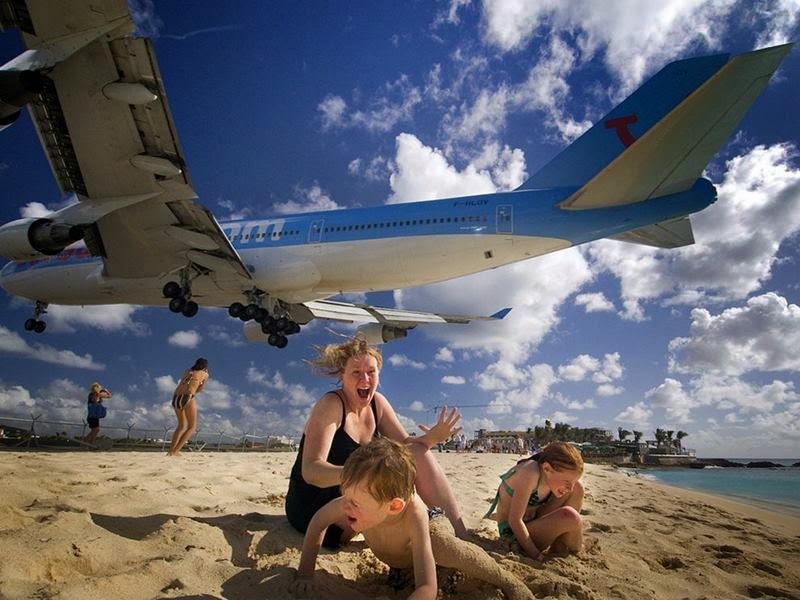 Plane comes in to land from the sea, flying over the beach strip, then on the highway, where the posted signs warning of very-low-flying aircraft, and immediately hit the runway. 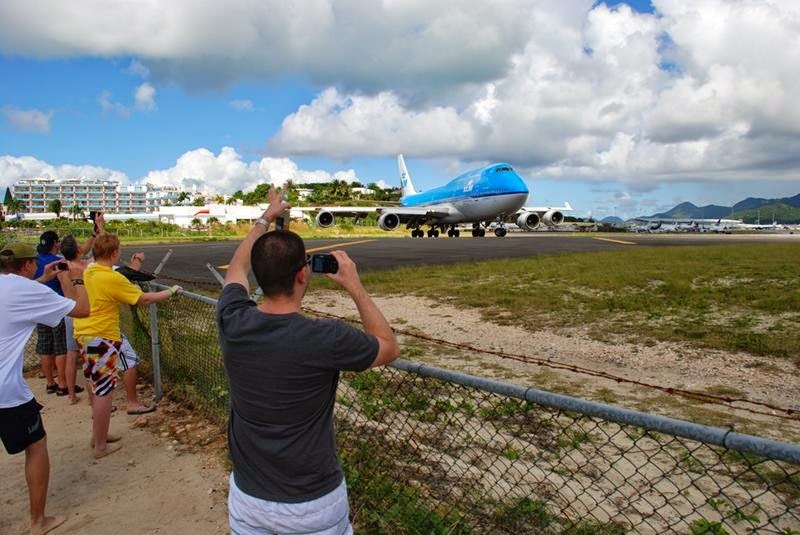 Due to the unique proximity of low flying airliners, the location is very popular with plane spotters. This is one of the few places in the world where aircraft can be viewed in their flightpath just outside the end of the runway. 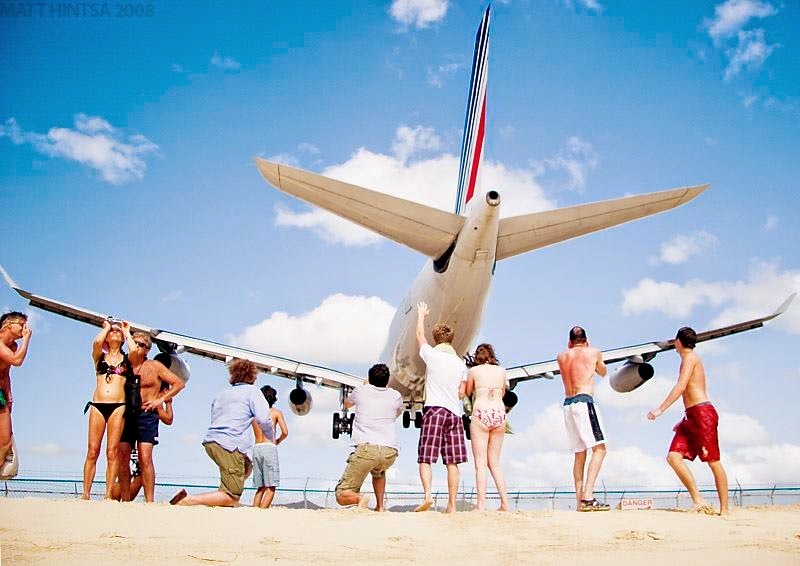 Watching airliners pass over the beach is such a popular activity that daily arrivals and departures airline. 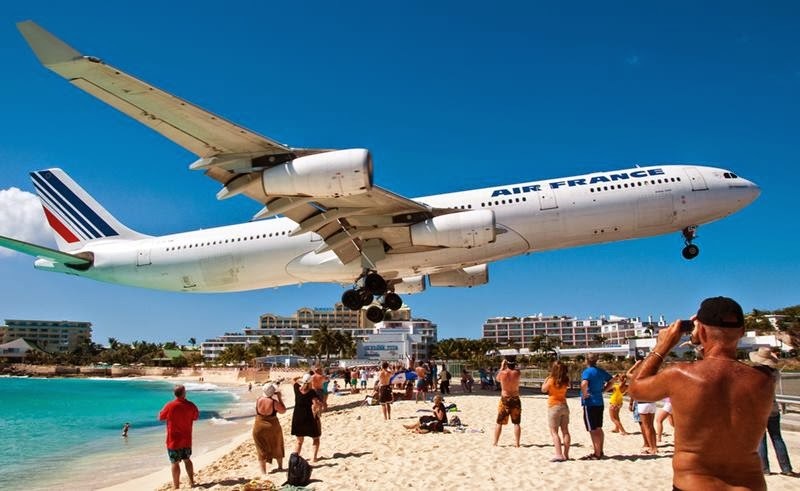 Arriving aircraft must touch down as close as possible to the beginning of Runway 10 due to the short runway length of 2,300 metres or 7,500 ft, resulting in aircraft on their final approach flying over the beach at minimal altitude. 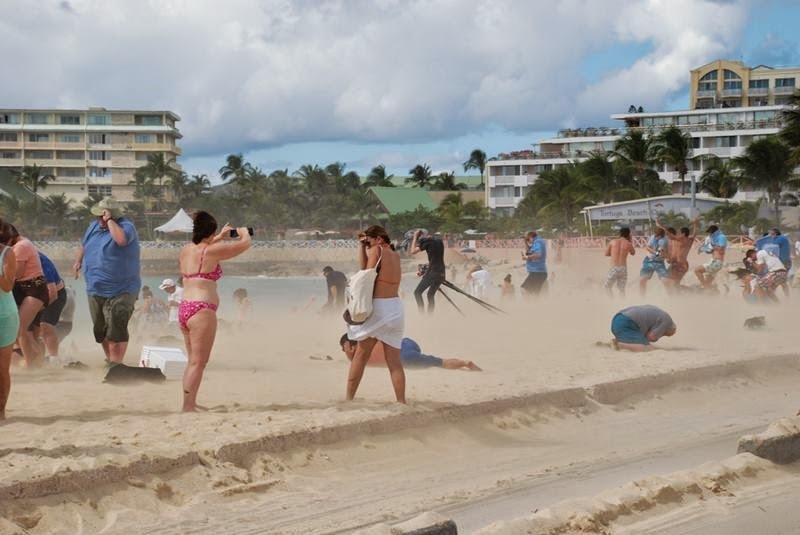 There is a danger of people standing on the beach being blown into the water because of the jet blast from aircraft taking off from runway 10. 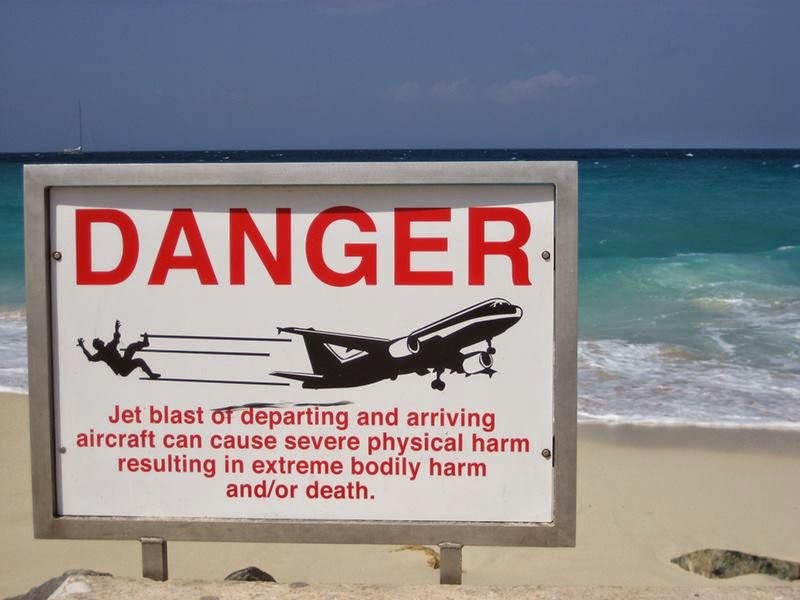 The local government warns that closely approaching and departing aircraft can "result in serious injury and/or death". 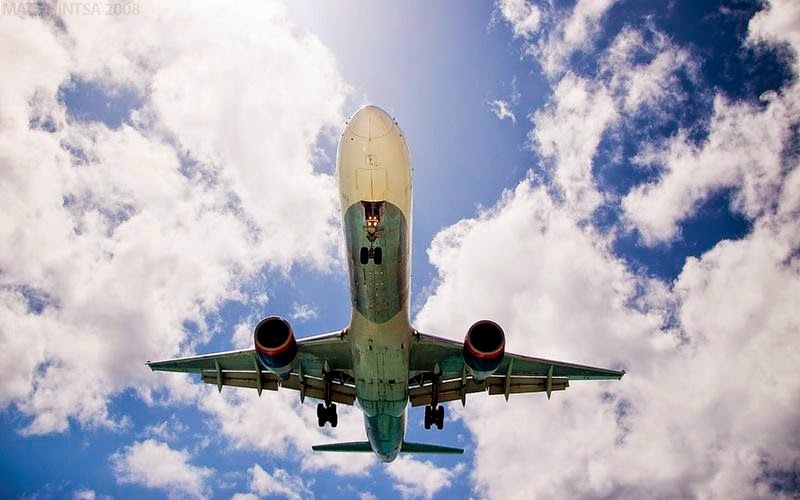 An additional fence has been added recently behind runway 10, in order to prevent people from hanging onto the main fence surrounding the runway to experience being blasted by the jet flow.